If I gave you 5 dollars to guess what this article was going to be about based on the title, I would probably be out 5 dollars. It’s not going to stop me from writing about it, because the stigma of this so called class of “first ballot” Hall of Famers needs to die. It is used to unnecessarily discount the careers of some of the greatest players ever to take the field simply because they weren’t “good enough” to get in on their first try. It is used as an argument against voting for surefire Hall of Famers when they first appear on the ballot because they’re not “good enough” to deserve getting in on their first try, which clutters the ballot and ultimately prevents other deserving players from induction (see: Fred McGriff). Every Hall of Famer ends up in the same place with the same plaque. So why are we trying to create a subdivision of greatness that doesn’t even exist? To start my argument, here are stats and positions of three players, all in the Hall of Fame. Try to guess which one isn’t a first ballot Hall of Famer. What do you think? Going off traditional numbers of a “first ballot” mentality, you probably would have voted player 3. After all, player 1 had 3000 hits, and player 2 had 500 home runs; both thought of as “automatics” in terms of Hall of Fame merits. Well, the actual answer is that none of these players were inducted on their first ballot. Player 1 is Craig Biggio, one of the premier offensive second basemen in history. His stats compare very favorably with Lou Brock, who had 37 less hits, roughly 20 less bWAR, and a lower OPS by 40 points. However, along with the 3000 hits, Brock also had the distinction of finishing his career as the all time leader in stolen bases, which Biggio didn’t. So, Brock had two automatics to get him in on his first ballot, but Biggio only had one. So no wonder it took Biggio until his 3rd ballot to get in: he only had one automatic. But shouldn’t one automatic number be enough? Well, since when does logic apply to Hall of Fame voting? Player 2 is on the shortlist of best third basemen of all time, and his name is Eddie Mathews. As mentioned earlier, he was not a first ballot member of the Hall of Fame. In fact, he wasn’t voted in until his 5th year of eligibility. Somebody try to tell me how that makes sense. For 4 years, voters looked at a guy with 512 home runs and thought “pffffft Babe Ruth had 714, why couldn’t you just hit 200 more?” I don’t know what happened by the 5th year, but it still didn’t convince as large a number of voters as Mathews’s career warranted. In his 5th year of eligibility, Mathews received 79.42% of the vote, barely crossing the threshold of induction. You know which third baseman got voted in on his first ballot with almost 92% of the vote? Brooks Robinson. 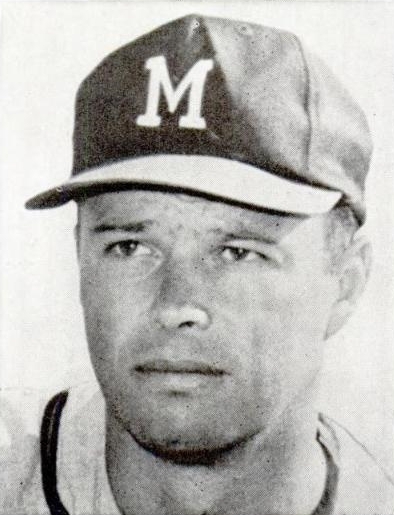 You know which third baseman had roughly half the home runs Eddie Mathews did and 160 points lower on his OPS? Brooks Robinson. Ok ok, but maybe Mathews was just short all those years and some stickler voters wanted to keep him out for spelling Mathews with one T. *checks notes* Uh, so, Eddie Mathews got 32% in his first year? And more than 50% of voters didn’t believe he was a Hall of Famer until 1977, his 4th year on the ballot? I don’t know how to make sense of this. If somebody can, please let me know. Player 3 was the Silver Fox before Chase Utley, the great Duke of Flatbush. Chances are, you’ve heard of Duke Snider. Apparently Hall of Fame voters had not. It took Duke until his 11th ballot to be inducted. Just typing that seems off; how did Duke take 11 years to be inducted? Granted, he was the 3rd best center fielder in his state alone, but that’s really not a slight considering the other two were Willie Mays and Mickey Mantle. But, uh, I’m struggling to find a way to justify this. Let’s get past the name for a second. If you look strictly at the numbers, Snider still belongs in the Hall of Fame. Duke has a higher career OPS than the likes of Ken Griffey Jr., Willie McCovey, and the aforementioned Eddie Mathews. He has more home runs than Al Kaline, Joe DiMaggio, and Johnny Mize. 11 years. It took him 11 years. I’m going to move on before I get mad, and I’m moving on to things that are going to make me more mad. Joe DiMaggio, Hank Greenberg, Jimmie Foxx, Roy Campanella, Yogi Berra. Can anybody guess what all of these players have in common? Yep, none of them were first ballot Hall of Famers. Can you honestly look at any of these guys and tell me that they don’t belong in the Hall? Exactly. A Hall of Famer is a Hall of Famer. There shouldn’t be picking and choosing of “oh well this guy is probably a Hall of Famer but he doesn’t deserve to be a first ballot guy”. It doesn’t matter. A player doesn’t just magically become a Hall of Famer after his first year on the ballot; he either is a Hall of Famer or isn’t. Don’t make them wait just because they might not meet your sky high standards, and don’t discount a player just because he didn’t make it on his first ballot. Joe D, Foxx, and Berra are some of the gold standards of Hall of Fame comparison, and you’re going to devalue their careers because they weren’t inducted the first year they were eligible? Terrible, terrible concept. Wrong. There should never be a subdivision of greatness within the most prestigious subdivision of greatness in baseball. The Hall of Fame is the Hall of Fame, and players are undoubtably going to be better than others, but don’t make this about voting results. Let me clarify here that I don’t believe that Hall of Famers are all obvious from the start. For example, I understand the hesitancy of voters to vote Edgar Martinez. Tim Raines and Larry Walker are two guys that to me are slam dunk Hall of Famers, but other people don’t see it that way and I understand that. But here’s the thing: they all end up in the same place. Can you tell by looking at the plaque that Jim Rice took until his 15th and final year and Rickey Henderson was voted in in his first? No. Do first ballot Hall of Famers belong in their own separate and distinguished class? No. Will you be able to change my mind on this? Probably not, but I’d love to discuss it @brian_slosh on Twitter. Let me know your thoughts. Rockies, Angels, and general baseball fan. I love talking about baseball more than I love writing about it, and I'm always open for discussion on Twitter @brian_slosh. i don’t need a reply, i just wanted you to know i agree with your logic. There are a lot of deserving guys who did not make it, some not even close for various reasons. But making it to THE HALL OF FAME regardless of which ballot is the highest honor. What are we going to do, grade them like meat? NO WAY they are all equal. i am 76 and have been an avid fan since growing up in MA, yes the BOSOX are my #1 team but now that i live in the DC area i am an avid NATS fan.